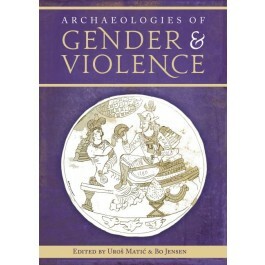 Uroš Matić and Bo Jensen have brought together a team of both young and senior researches from many different countries in this first volume that aims to explore the complex intersection between archaeology, gender and violence. Papers range from theoretical discussions on previous approaches to gender and violence and the ethical necessity to address these questions today, to case studies dealing on gender and violence from prehistoric to early medieval Europe, but also including studies on ancient Egypt, Persia and Peru. The contributors deal both with representations of violence and its gendered background in images and text, and with bioarchaeological evidence for violence and trauma with a gendered background. The volume is rich both in examples and approaches and includes opening and closing chapters by senior scholars in the field assessing the current state of work and addressing the scholarship to continue on the line of this volume. 1. Introduction: Why do we need archaeologies of gender and violence, and why now?